This is a magnetic therapy bracelet. This classic style magnetic bracelet has 2 powerful & permanent neodymium rare earth 3000 gauss bio north facing magnets in the two round ends. This bracelet is made of copper plated brass (about 85% copper). 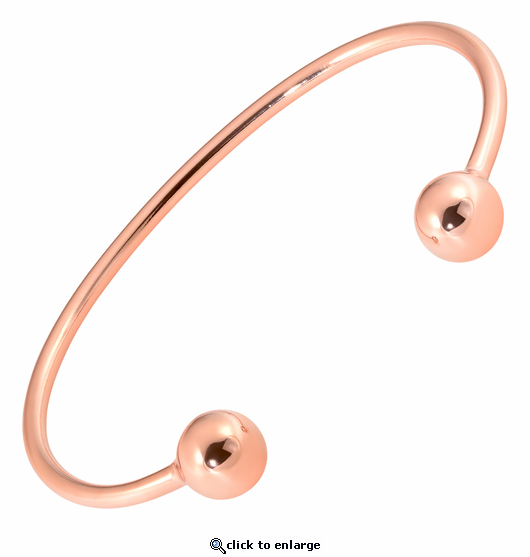 Pure copper is too soft for this style so brass is used so that the bracelet will keep its shape. It also has stainless steel magnet caps for added durability.